The lady at the reception was SO AWESOME! Very friendly, positive, always smiling and very helpful. Delivered our breakfast to the room because they were doing reconstruction of the restaurant. About the hotel. You get what you pay for. The bathrooms I believe are newly remodeled and very nice. The furniture is kinda old tho. However, for a night, it didn’t really matter. Big spacious balcony, TV, AC. What else do you need? 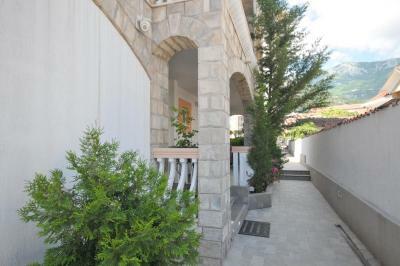 Location: it’s very close to the Main Street, main attractions and old town. I mean, it’s like 10-15 minutes walk. The area provides many supermarkets, bakeries and etc. it looks very close to the beach, too. Having in mind the service the hotel provides and the location, I give it 10 points. Thank you for having us. 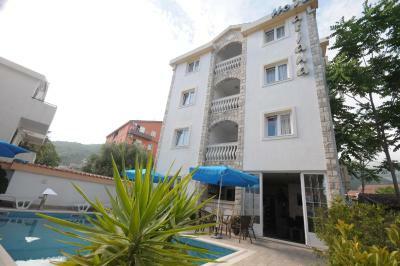 We will make sure to recommend your place to our friends if coming to Budva. The breakfast was good it had different choices so it did not get repetitive. 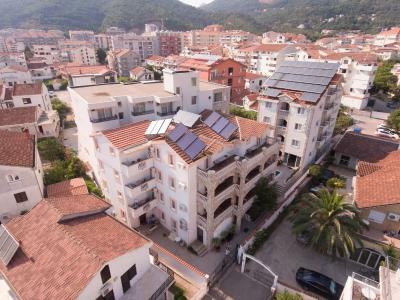 Also the location was in the middle of Budva with a 5-10 minute walk to Slovenska Plaza. Also the reception guy was great he let us keep our bags after our check-out because our bus was in the afternoon. Bathroom is nice, clean, and modern. BREAKFAST IS AMAZING! 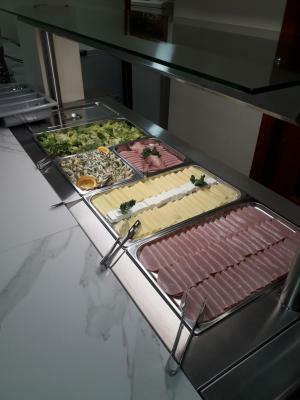 There was a very large breakfast buffet that was fresh...over 15 options each morning to eat from fruit to eggs to bread, meats, cheeses, fruit salad, Serbian salad, bakery and sweets, sausages of different kinds, cereal, and more! 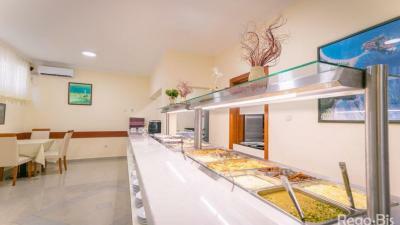 Everything you could want for food and more...just incredible! We were full everyday until dinner time. The front desk girls were nice to arrange taxis for us at a flat rate to sveti stefan and to the airport. 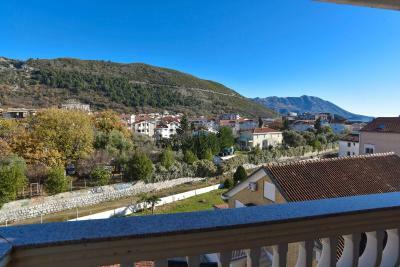 Just a short walk to becici and budva beaches (10 to 15 minutes). It was close to the city center and a 10min walk to the beach. It has its own swimming pool even if it's small. And the Hotel is close to shops, restaurants and the Market. Being close to the beach means you don't really need to use a car. The rooms in the new building were spaciose enough. The staff are kind and they try to help you as they can. Good location. Big, comfortable room with a nice balcony. Nice staff, although we did not make it for breakfast leaving early in the morning, they willingly prepared us a lunchbox to take with us. Free parking. Value for money. The room was beautiful, clean and comfort. 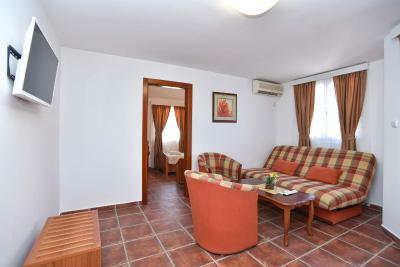 Location is ok. Few minutes on walk to the center and nearby beach. The staff is very polite. They answer us on every propose. The hotel was really nice and the staff are very helpful. We got a bigger room than we payed, so that was great. The pool is pretty, comfortable deep (150 cm) but not warmed. Both the breakfast and the dinner are delicious and enough. They have wifi in all level so it is acceptable good. It was very clean and modern room. Employees are very polite. 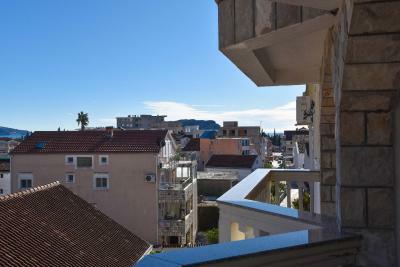 Close to supermarket and restaurants; from the hotel you can reach the city center by walk easily. 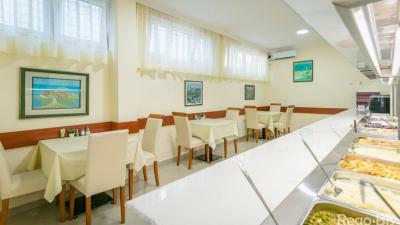 Hotel Tatyana is located on some street without number! We walked for hours at night in the neighborhood, and no one knew where the hotel was located. Why booking.com accept hotels that do not have a number, write bb, which means without a number - Mainski put bb ???? There was a confirmed parking requirement that was not available, there were no parking spaces on the street! In the morning when we had to check for the plane there was no internet. There was no lift! We asked staff if we could have their coffee outside and they said they could not. Checking was at 10.00 am !!!!!!! Hotel Tatjana This rating is a reflection of how the property compares to the industry standard when it comes to price, facilities and services available. It's based on a self-evaluation by the property. Use this rating to help choose your stay! 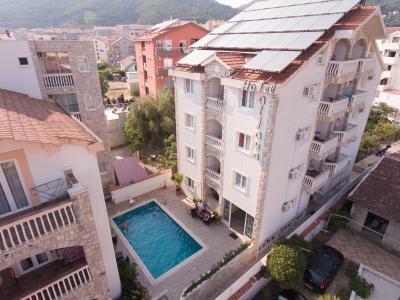 One of our top picks in Budva.Located close to the center of Budva, Hotel Tatjana is 2,950 feet away from the Slovenska Beach. 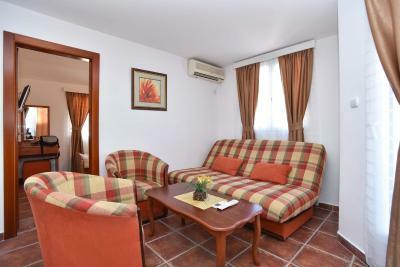 Free WiFi access is available throughout the property. There is an outdoor pool, a restaurant and free private parking. 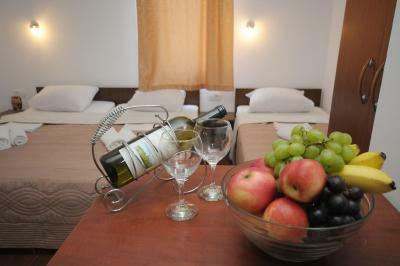 It offers air-conditioned, modern accommodations units with terraces. Those on higher floors have sea views. 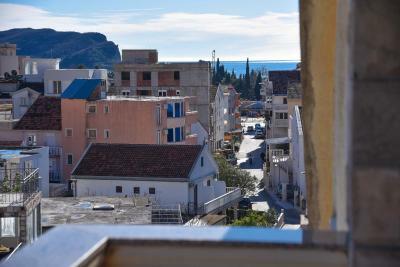 The historic old town is 1.1 mi away from Hotel Tatjana. A petrol station on the Adriatic highway is nearby. 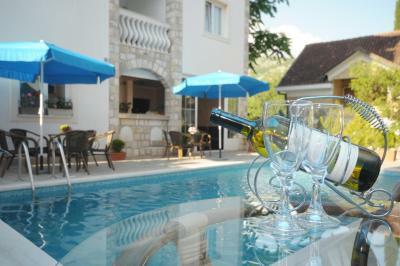 When would you like to stay at Hotel Tatjana? 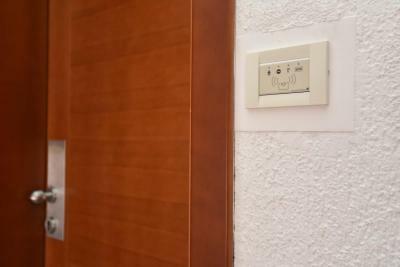 Air-conditioned room featuring a cable TV and a mini-bar. 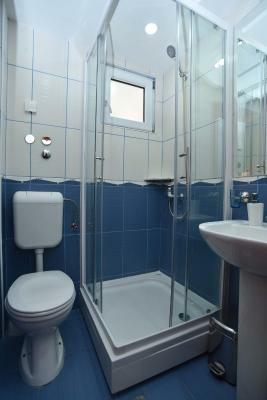 Private bathroom provides a shower and hairdryer. 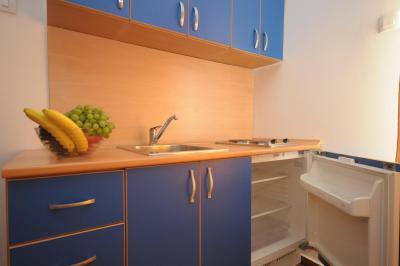 Air-conditioned studio featuring cable TV, kitchen facilities and a balcony. 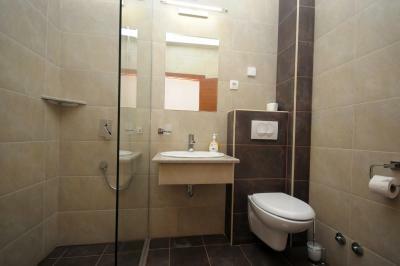 Private bathroom provides a shower and hairdryer. Air-conditioned room featuring cable TV and a mini-bar. 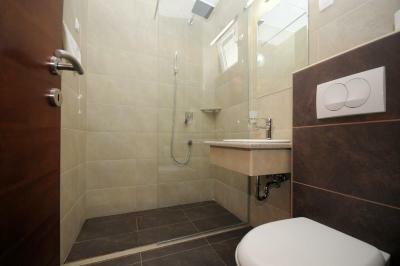 Private bathroom provides a shower and hairdryer. 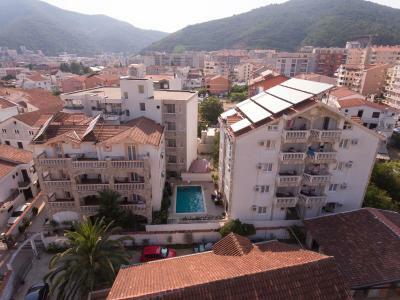 Conveniently located behind Slovenska Beach and close to the petrol station on the Adriatic highway, this Montenegro Budva hotel gives guests easy access to all that this charming area has to offer. House Rules Hotel Tatjana takes special requests – add in the next step! Hotel Tatjana accepts these cards and reserves the right to temporarily hold an amount prior to arrival. Breakfast was delivered in lots of plastic from around the corner. Even though it was cooked it was cold. Drink was not included and not available. Dripping tap all night long could not be fixed. Parking was hard to find. Great location, nice staff, good food. Breakfast it was very shabby. The wifi was not working at all, the receptionnists were not helpful at all and/ or sometimes not speaking english ! The bed was not comfortable. When we told them we were not happy with the hotel and we wanted to leave, they tried to make us pay an extra day. We did not enjoy our stay. Breakfast should be better, to have more variety. It was the same every day. On the balcony there weren't clothes dryer. We have to drought our swim clothes on chairs. The wireless internet was non existent on the fifth floor. Also there was no elevator to lift our heavy bags and the double bed was not all that comfortable because it had an empty spot in the middle. Also for the check in it said on Booking that it was at 12:30 and they let us check in one hour later. There were be great if they had lunch and all inclusive service. Actually there is NO wireless internet, the answer was there is a technical issue..., but it insists all the time, 4 days. Parking is pour, there are 7-8 parking places, the rooms are about 30-40. TV, if you like Russian channels this is your place, there are 5-6 Russian channels and that's all. The swimming pool is very dirty and there is a total lack of maintenance, nobody wants to use it, it is dangerous because of possible diseases. That the pool was empty! Old towels, duvet without sheet/linen. Only one type of bread offered for breakfast - plain white.